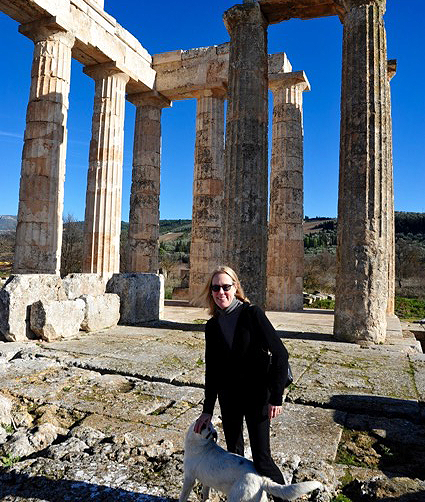 Dr. Woods teaches the survey of Ancient and Medieval art, and upper division courses in the History of Architecture, Crete, Mycenae, Greece and Rome, and Medieval art and architecture. Her area of specialization is the art of the Roman Empire. Her dissertation analyzed a Roman priesthood largely composed of ex-slaves, who designed and decorated their tombs in ways to assert their upward social mobility and assimilation into Roman society. Her current research focuses on issues of historic preservation, and the adaptive reuse of historic buildings. Dr. Woods has served for the past five years as a member of the City of San Diego’s Historical Resources Board. The board reviews properties 45 years old and older to determine if they are historically significant and eligible for listing in the San Diego Register of Historical Resources. She also serves on the board’s Policy and Design Assistance subcommittees. The DAS reviews rehabilitation projects of designated individual properties, and districts such as the Gas Lamp Quarter and Liberty Station. Dr. Woods is also an adjunct at the University of California, San Diego, and has taught at the California Institute of Technology, Pasadena, and the University of San Diego. View all Art History faculty member profiles.